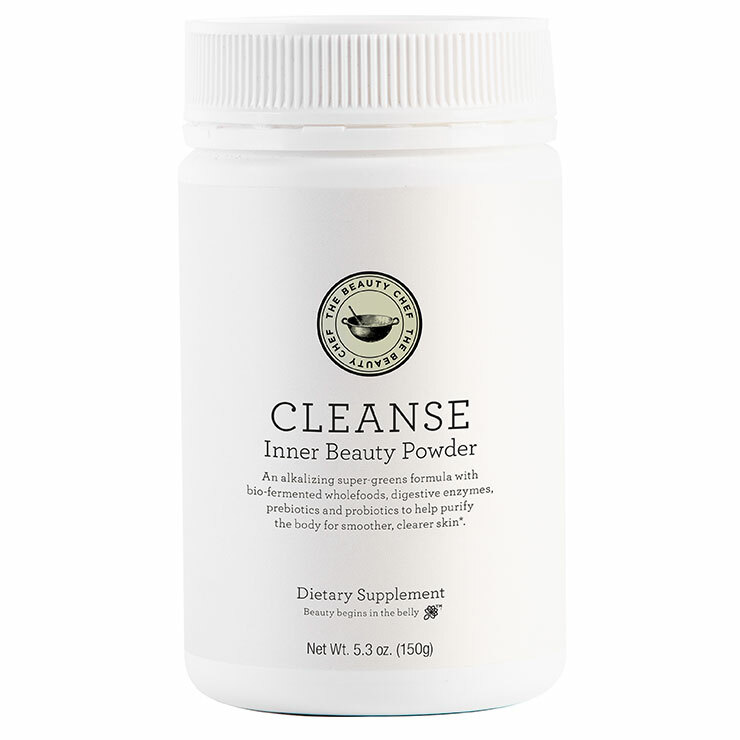 Cleanse Inner Beauty Powder by The Beauty Chef is a multi-benefit super-green supplement that offers a feeling of purity from the inside out. It's formulated with ingredients intended to give the body a sense of detoxification and support, while digestive enzymes lend an impression of balance. Added bonus ... the complexion is left looking clear and glowing. Once a day, simply combine 7 mL of concentrate with 200 mL of water, your favorite beverage, or sprinkled over breakfast.